The Maldives seascape is a world of extremes. The house reefs are often dramatic, colourful, textured, vibrant spectacles. The lagoons, on the other hand, can be vast expanses of underwater deserts of endless, featureless white sand. 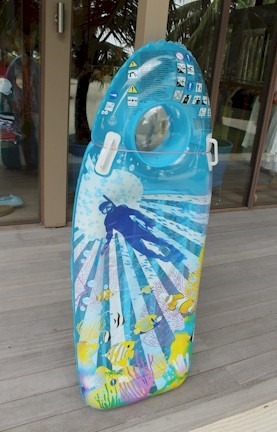 A number of resorts have introduced a range of Reefscaping initiatives to brighten up their lagoon, but none more funky than the work of Diverland (the resident dive operation) at Summer Island. In the lakes of England where they teach diving, they submerge bicycles, shopping trolleys, anything to provide some visual interest to the otherwise boring landscape. Summer Island has quite a quirky collection shown in the chart above and include a phone booth and a lamp post (see photo at bottom). 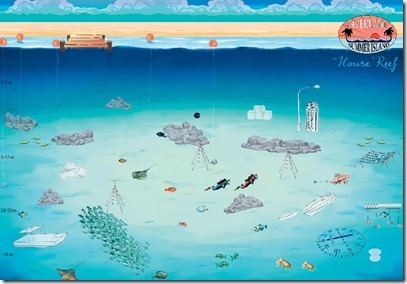 All of the items are marked with a red buoy (12 in total) making it easier to find and navigate your swimming to them. 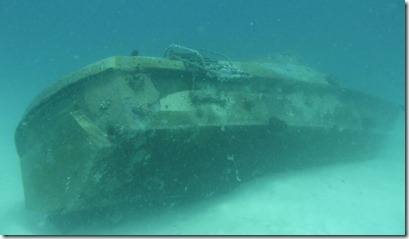 Summer Island also features probably the easiest beginner “wreck dive” one could ever find. They have sunk a sand barge and an old speedboat. Reminds me of the post-war practice by the American and British of scuttling obsolete naval vessels to provide reefs for recreational diving and promotion of sea life. Also, the closest thing to #7 in the 4th collection of “Haven’t Seen Yet”. 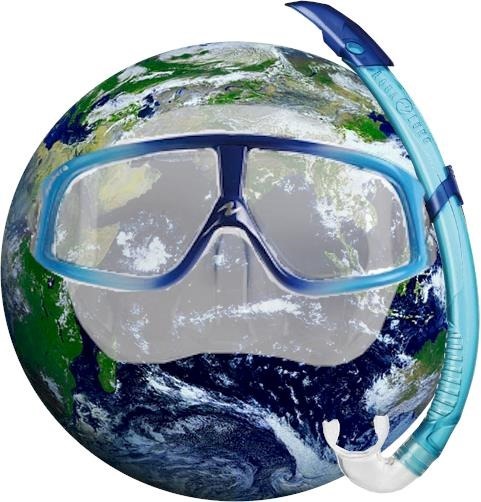 Happy World Snorkeling Day. The second annual day to honor the simplest way to literally immerse yourself in the undersea world. 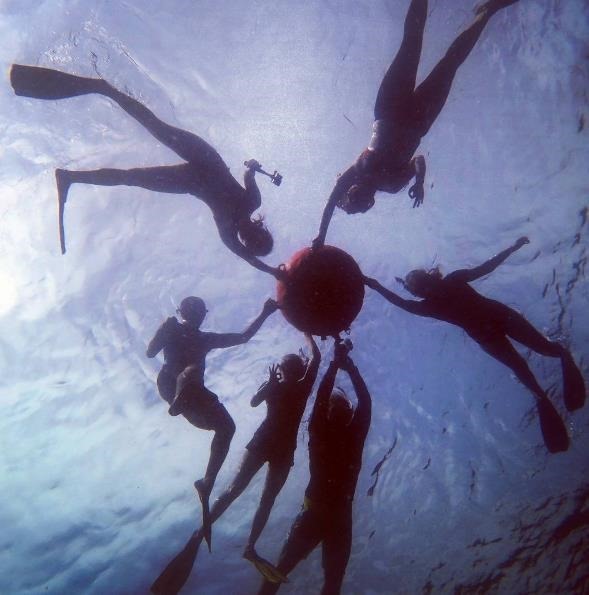 Maldives Complete has been the lead found and sponsor of this celebration given the Maldives’ world leadership in all things snorkelling. 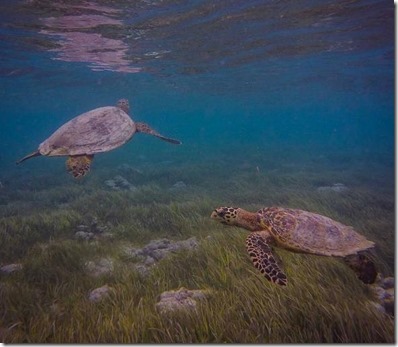 Lagoons – Typically a bit barren and sandy, they sometimes features croppings of coral in the infancy of reef creation. What they lack in larger species and variety of fish, they make up for in comfort and access of access. For top spots see Belize and the Caribbean. Ocean – Underwater pillars (or “thilas” in the Maldives) rise up from the ocean floor in the middle of the ocean and often offer distinctive sights of creatures drawn by this submarine promontory. For top spots see the Red Sea, Galapagos and Great Barrier Reef. One of the great things about the Maldives is that it features every one of these types. In bountiful number with its over a thousand islands and similar number of underwater reefs spread out across nearly a thousand kilometre long stretch. 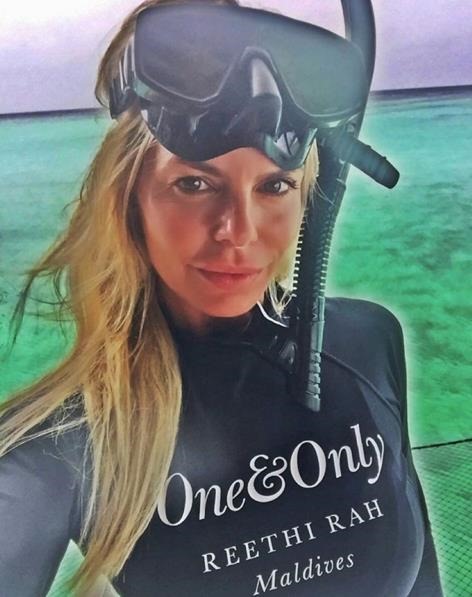 Resorts like Hurawalhi and Kuredu are hosting their own special Snorkel Days today. Jelly Fish Snorkeling – Eil Malik Island in Palau: Well, not as hazardous at it appears as the Golden Jellyfish which populate this lake don’t sting actually. 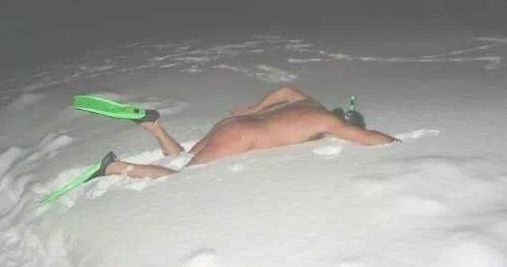 Snow Snorkeling – Somewhere in Michigan: Not a lot of detail provided, but we think alcohol is involved. 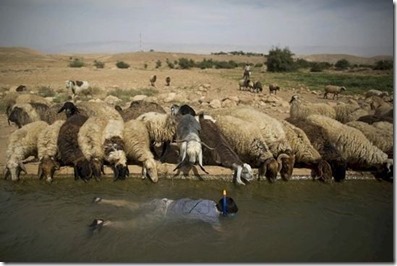 Sheep Field Snorkeling – West Bank, Jordan: Not quite the spectacle of the Red Sea, but still a spectacle of sort. Reed Snorkeling – Cineplex near you: “I don’t care if you did see that in a movie, Gilligan is not breathing through that reed!” — The Professor, Gilligan’s Island. 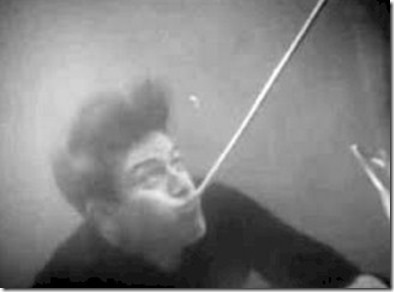 Turns out that escaping the bad guy by breathing through a reed would cause problems that “the width of the reed (or snorkel) needs to get wider the longer the tube. Otherwise you are just rebreathing the same air over and over, which will kill you after long enough. Unless you breathe out into the water, which defeats the purpose by highlighting your position with bubbles”. Polar Snorkeling – If the hypothermia doesn’t get you, the leopard seals might. 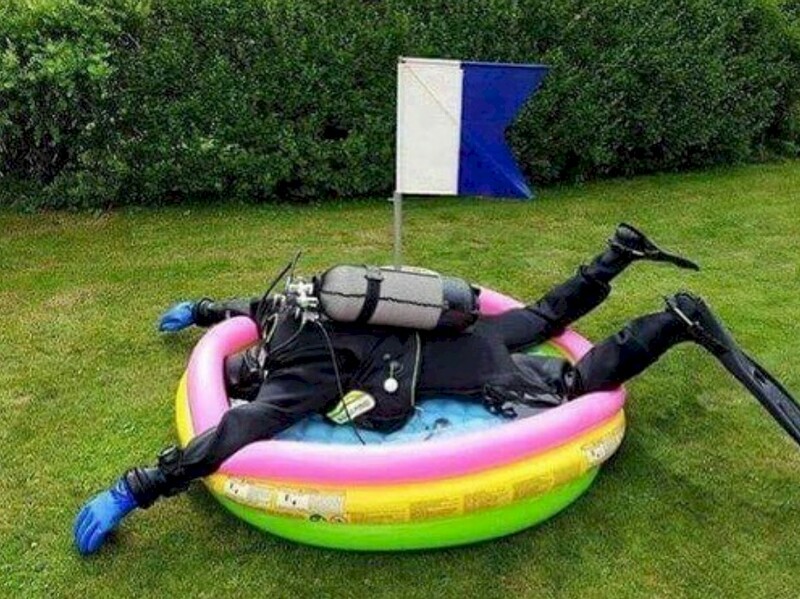 Paddling Pool Snorkeling – And if you can’t get to a body of water, you can always make do with a backyard outing. One of the more commonly cited possibilities for tropical resorts with tranquil isolation as well great snorkeling and diving is Indonesia. 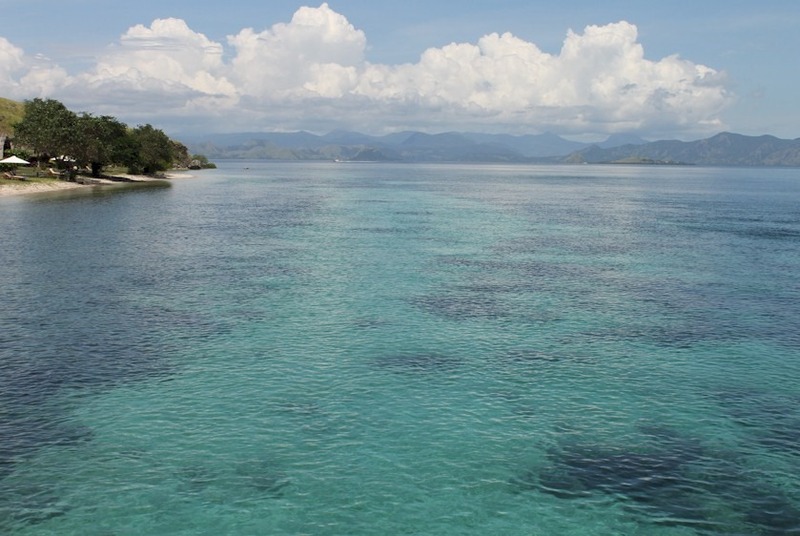 We recently took a trip to Bali for a friend’s wedding and thought I would add on a week to visit Komodo, Indonesia and check out the snorkeling scene. We stayed at a lovely 4 star (equivalent) resort in Komodo national park – Komodo Resort and Dive Centre. The pictures and reports indicated that I might have stumbled upon something to rival the Maldives’ snorkeling supremacy. The resort was in the highly rated Komodo Natonal Park which is a protected marine area as well as a national park on land. Roving police come to your dive and snorkelling boats to check that you have a requisite permit for being there (you purchase these on arrival). But below are some of my observed comparisons. Admittedly, my impressions are a bit superficial given that I only spent a week there. Still, I did do extensive research to prepare for the trip, the location is reputed to be one of the best in the country (so should show the destination in some of the best light), I spoke extensively to staff, residents and other guests there to compare notes and ferret out more perspectives, and I have the experience of snorkelling all over the world (eg. Caribbean, Mediterranean, Red Sea, Indian Ocean). Fewer big fish: The big 5 (shark, turtle, ray, moray, octopus) of the Snorkel Safari are much rarer in Indonesia. They can be seen, but everyone talks about going on special excursions to special sites to see them. During our entire stay and several outings, we didn’t see a single one. And we were in one of the reputed top dive/snorkel areas of the region. Curiously, the “smaller” fish (eg. sweet lips, bat fish, parrot fish) mostly seemed significantly larger than their Maldivian cousins . More current – There is no sheltered atoll topology. Instead, the islands rise out of relative deep water much like the Greek Isles. Furthermore, Indonesia lies smack between the Indian and Pacific Oceans. As a result, there are lots of currents as the water shifts back and forth squeezing through the archipelagos of the islands. Our house reef snorkel had the strongest current I have ever snorkeled in. Fortunately, resort took us in a dingy to one end of the house reef and we drifted back to the exit jetty. Our snorkel excursion was also a “drift snorkel” where a dinghy took us to a drop off and then picked us up again for another go around. 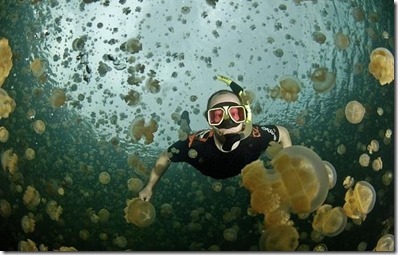 Colder water – Good for corals, but less comfortable for leisurely t-shirt/rash-guard snorkeling. Infrastructure – In general, the Indonesian tourism infrastructure felt about 20 years behind the Maldives. That might sound appealing to those old-timers who yearn for the simplicity of the good old days, but it did mean little inconveniences like weak Internet (slow in general, down most of the time we were there on public network and wifi), limited food choices and limited activities (though all those things might be plusses to some). Payment infrastructure was particularly inconvenient and awkward (eg. difficulties getting online payment system to work, no Amex accepted, 50 Euro surcharge for using Paypal). Corals – The key plus to the house reef was the coral. Especially compared to the currently stressed (eg. 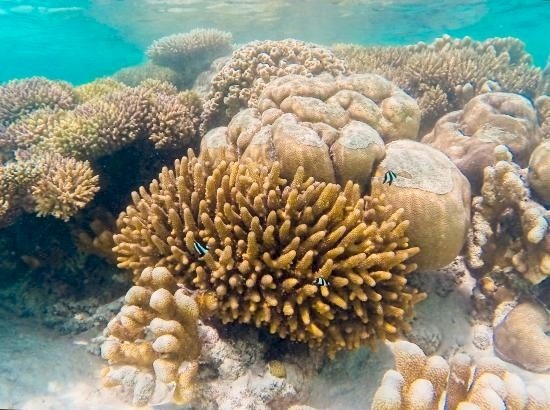 climate change, El Nino, COTS) reefs of the Maldives. Great diversity, colour and health of hard and soft corals. Especially, soft corals. Greater quantity and diversity of soft corals than I have seen anywhere in the Maldives. Cost – The big win in Indonesia is the cost. I would roughly estimate that like-for-like, Indonesia is at least half the price of a comparable property and activity in the Maldives. The Maldives lagoons. There aquamarine pools are perhaps the feature that most defines the distinctive Maldives topology from above. 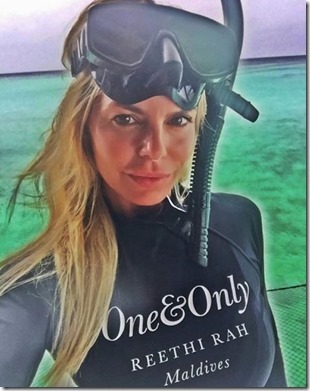 And yet for many Maldives aficionados and avid snorkelers, they often dismissed and disregarded. The “main event” for the Maldives’ world leading snorkelling is the ‘house reef drop off’. Where the coral shallows plummet into the deep blue ornamented with a living collage of vibrant sealife. Lori and I often feel these unsung littoral shoals are underappreciated. On our first visit, we knew nothing about the drama of the house reef and spent our first days happily snorkelling among the scattered coral croppings in two-foot deep water. We were nonetheless still mesmerized by the schools of tropical fish darting here and there. Since that time, we have had some very fine snorkels in lagoons. I long ago added a basic ‘house reef’ rating to the resort Profiles, but a couple years ago I thought of adding a ‘Lagoon Rating’. I didn’t have enough information to do a good job of it and, as I’ve mentioned, there’s not a lot of call for lagoon info. But I have seen many lagoons in my 70+ Maldives resort visits and snorkelled most of them, and I have been struck by a number of them. For example, Four Season Kuda Huraa’s with its early and ambitious reefscaping initiative stands out for example. But I have to call out Canareef’s “Coral Garden” as very possibly the best ‘house lagoon’ in the Maldives. While lagoon snorkels are more sedate and less eventful affairs, our snorkel of their Coral Garden was one of the most exciting underwater excursions of the trip. First you are struck by the great variety of coral. Most of it in very good health. One of the best parts is the crewcut forests of staghorn coral tickling the underside of the ocean top. They weave in contorted shapes like a shrubbery maze in the garden of a stately home that you can get lost in roaming through the sandy channels. And this water wonderland extends for acres and acres. 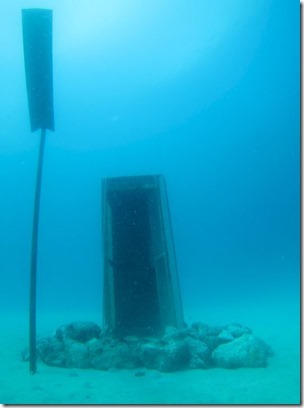 In fact, it gets a bit spooky to swim half a kilometre offshore even if the depth is still chest high. 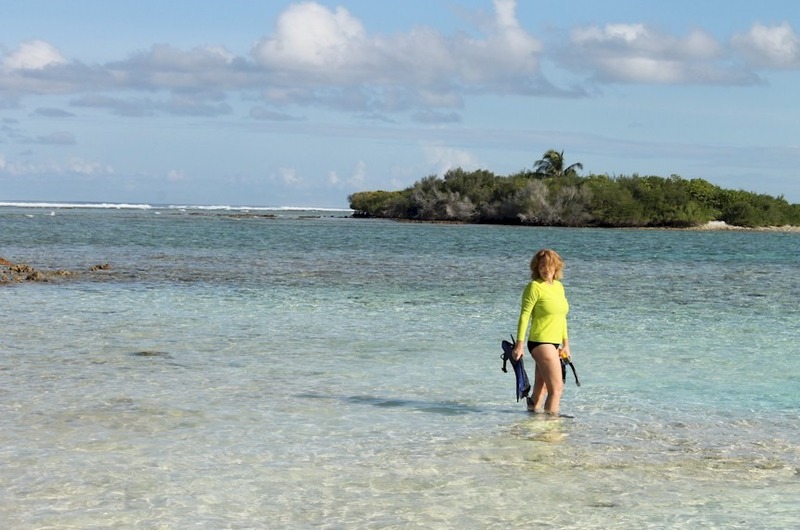 The shallow depth makes the Coral Garden an attractive option for snorkelling novices especially at low tide. If you have any difficulties, you can just stand up (as long as you ONLY stand on the sand, not the coral, but there is plenty of sand around). 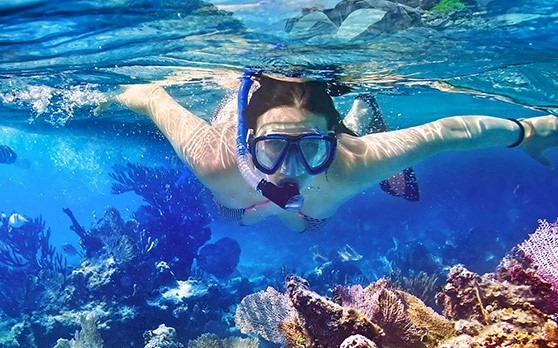 Even though it is sheltered and shallow, always take every precaution when snorkelling especially if you are less experienced. Many resorts have started adding a number of creative touches to give their lagoons more allure. Despite its abundance of natural blessings in the lagoon department, Canareef is not resting on its laurels. They are in the process of building a special overwater bar to support the snorkelling. You can get gear there and have a post-snorkel drink while sharing all your snorkel spotting tales. Never have I seen so much marine life in such little water. Quite a few resorts now (17 by my count) invest in reef regeneration programmes on their island. Someday maybe Marhaver’s work will allow us to go beyond strapping coral pieces to frames and actually cultivate and propagate corals. Q: What is the greatest danger of water fatality in the Maldives? A: An adrenalin sport like scuba diving? Q: Buzzz…Nope. Nearly all scuba diving is run by very high quality PADI dive centres or liveaboards with very high safety standards and one of the strongest safety records in for diving in the world (contributed by the fact that many dive sites are not overly deep and are often relatively sheltered in atolls). The most dangerous activity is the one that seems so alluringly easy – snorkelling. It’s not that snorkeling in the Maldives is particularly dangerous per se. 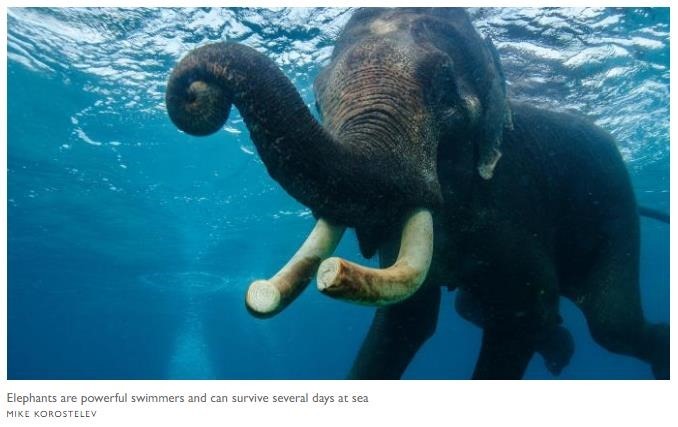 In fact, one could argue it is some the safest snorkelling in the world. But it is those he mill pond calm waters in often shallow depths which lull guests into a exaggerated sense of security. When water is involved, you have a serious risk to respect no matter what the situation. 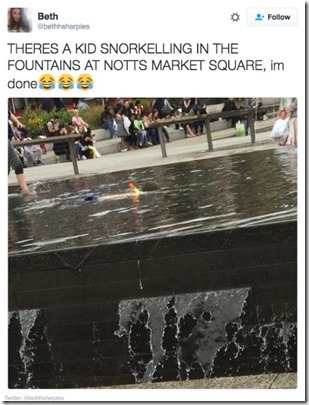 As the saying goes, you can drown in an inch of water in your bathtub (and some people do). So today is the ideal good occasion for a refresher on making this inviting activity as safe as it appears (and often is) easy and thrilling. The typical contents of a snorkel bag are snorkel, fins, mask, towel, and room key. 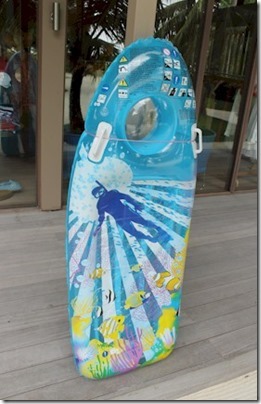 But the “safe” snorkeler might want to bring along some extra items – eg. whistle, floatation aid. And my favourite snorkelling accompaniment – a snorkel guide. Not a book or map, but a trained, proficient, resort staffer to help and support your outing. They not only will be there to assist if anything goes awry, but they know all the best places to see resident critters on the house reef and can provide lots of great information about what you are seeing. Consult the experts. Every resort has a dive centre and the majority of resorts have staff marine biologists both of whom know the resort waters intimately. They can not only tell you how the water behaves and where various hazards are, but also provide insider tips on where to see the best stuff and how (eg. maybe free dive to look under a ledge). Don’t let the weather fool you. It’s all about the water and currents in the ocean not the air. We have snorkelled in a monsoon with an expert who knew the currents and knew the conditions in the actual ocean were fine. Conversely, a warm, bright day might seem innocuous, but some current shift or other under the surface situation could create a surprise problem. The final point really concerns over-confidence. Just because it is all calm and sunny on the exterior (which is it most of the time in the Maldives) doesn’t mean that some hazards don’t exist below the surface. Some people get skittish about sharks and even fish, but the real monster of the deep is the deep itself. 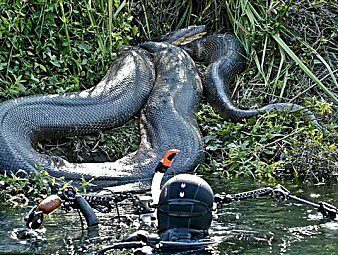 Deep water where people go beyond their capabilities, and get into trouble. 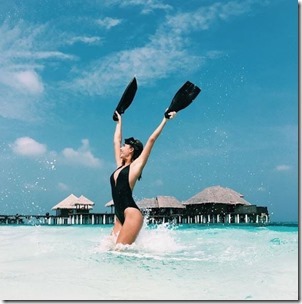 In any water activity, the risk of drowning is an ever-present danger whether it is in a community pool or even the tranquil waters of the Maldives. This syndrome of false confidence is the key reason why some experts on the TripAdvisors protest against the use of flotation aids in snorkelling. 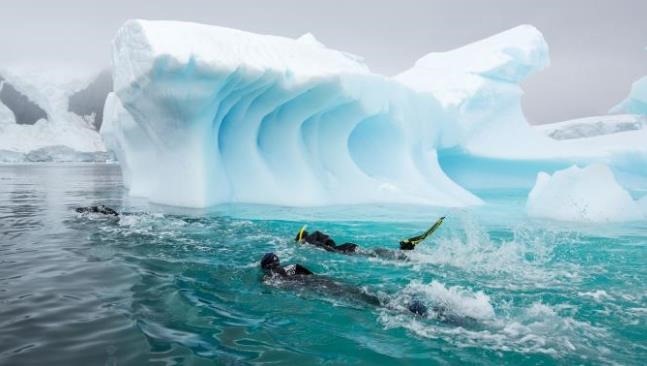 They feel that such aids instil confidence in the weak swimmer to go beyond their limits and going beyond you limits imposes more risk (to yourself and to the reef) than the flotation aid mitigates. 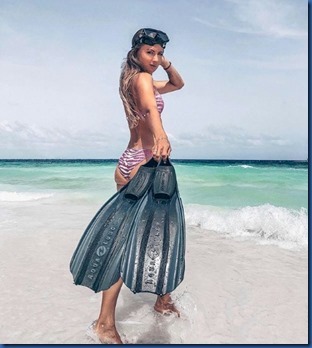 I agree that over-confidence is a risk, but a floatation aid will in nearly all cases provide critical protection against the greatest risk which is drowning so do consider bringing or wearing one (but just don’t let it drop your caution). Happy and safe snorkeling everyone!